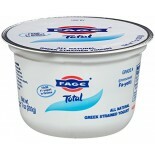 Attributes: Natural or Organic IngredientsIngredients: Strained Yogurt: Grade A Pasteurized Skimmed Milk and Cream, Live Active Yogurt Cultures (L. Bulgaricus, S. Thermophilus). 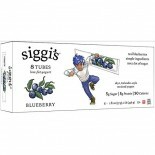 Blueberry Fruit Preparation (20%): Blueberries, Sugar, Water, Corn Starch, Contains 1% or Less of: Lemon Juice Concentr.. 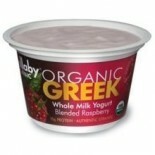 Attributes: Foodservice (Single Serve), Gluten Free, Natural or Organic Ingredients, Wheat Free, Yeast FreeIngredients: Strained Yogurt, (Grade A Pasteurized Milk and Cream, Live Active Yogurt Cultures (L. Bulgaricus, S. Thermophilus]), Cherry (11%), Sugar, Modified Starch, Pectin, Natural Color Fru.. 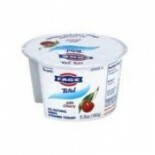 Attributes: Foodservice (Single Serve), Natural or Organic IngredientsIngredients: Strained Yogurt [Grade A Pasteurized Skimmed Milk And Cream, Live Active Yogurt Cultures (L. Bulgaricus, S. Thermophilus)], Cherry Fruit Preparation (20%) [Cherries (8), Sugar, Corn Starch, Natural Flavors}.Nutritions.. 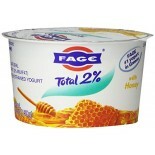 Attributes: Foodservice (Single Serve), Natural or Organic IngredientsIngredients: Strained Yogurt [Grade A Pasteurized Skimmed Milk And Cream, Live Active Yogurt Cultures (L. Bulgaricus, S. Thermophilus)], Honey (20%).Nutritions: Calcium(8), Calories(180), Cholesterol(5), Dietaryfiber(0), Fromfat(2.. 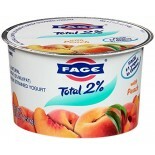 Attributes: Foodservice (Single Serve), Natural or Organic IngredientsIngredients: Strained Yogurt [Grade A Pasteurized Skimmed Milk And Cream, Live Active Yogurt Cultures (L. Bulgaricus, S. Thermophilus)], Peach Fruit Preparation (20%) [Peaches (8%), Sugar, Corn Starch, Lemon Juice Concentrate, Nat.. 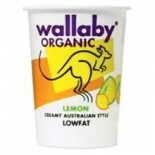 Attributes: Foodservice (Single Serve), Natural or Organic IngredientsIngredients: Fresh Cows' Milk, Milk Proteins, and Yoghurt Culture.Nutritions: Calcium(N/A), Calories(80), Cholesterol(N/A), Dietaryfiber(N/A), Fromfat(N/A), Iron(N/A), Protein(6), Saturatedfat(N/A), Servingscontainer(N/A), Serving.. Attributes: Gluten Free, Natural or Organic Ingredients, Wheat Free, Yeast FreeIngredients: Grade A Pasteurized Skimmed Milk And Cream, Live Active Yogurt Cultures (L. Bulgaricus, S. Thermophilus).Nutritions: Calcium(15), Calories(150), Cholesterol(15), Dietaryfiber(0), Fromfat(40), Iron(0), Protein.. 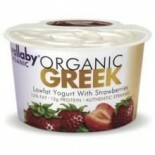 Attributes: Foodservice (Single Serve), Natural or Organic IngredientsIngredients: Strained Yogurt [Grade A Pasteurized Skimmed Milk And Cream, Live Active Yogurt Cultures (L. Bulgaricus, S. Thermophilus)], Strawberry Fruit Preparation (20%) [Strawberries (8%), Sugar, Corn Starch, Lemon Juice Concen.. 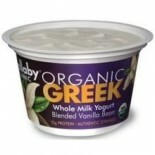 Attributes: Foodservice (Single Serve), Gluten Free, Kosher, Natural or Organic IngredientsIngredients: Cultured Pastuerized Grade A Milk, Evaporated Cane Syrup, Cream, Honey Powder, Vanilla Extract, Natural Flavor, Water, Pectin, Spice, Citric Acid, Gum Arabic, Xantham Gum Nutritions: Calcium(25),.. 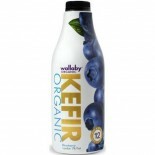 Attributes: Gluten Free, Kosher, Natural or Organic IngredientsIngredients: Organic Lowfat Pasteurized Milk, Organic Fruit (Organic Evaporated Cane Juice, Water, Organic Blueberries, Natural Flavors, Pectin, Organic Locust Bean Gum), Lactase Enzyme, Pectin and Flourish™, Our Proprietary Blend of 10 .. 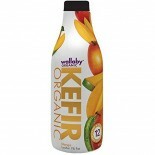 Attributes: Kosher, Low Salt / Low Sodium / Reduced Sodium, Natural or Organic Ingredients, Wheat FreeIngredients: Organic Lowfat Pasteurized Milk, Organic Fruit (Organic Dried Cane Syrup, Water, Organic Peaches, Natural Flavors, Pectin, Organic Locust Bean Gum, Citric Acid, Annatto Extract), Lactas.. Attributes: Gluten Free, Kosher, Natural or Organic Ingredients, Wheat Free, Yeast FreeIngredients: Organic Lowfat Pasteurized Milk, Organic Evaporated Cane Juice, Natural Vanilla Flavor, Lactase Enzyme, Pectin and Flourish®10 Live and Active Cultures: L.Bulgaricus, L. Acidophilus, L. Casei, L. Rh.. 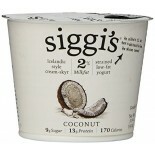 Attributes: Gluten Free, Natural or Organic IngredientsIngredients: ORG. 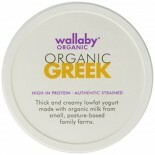 Whole Milk, ORG. Cream, ORG. Honey, ORG. 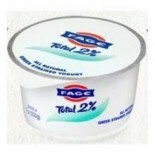 nonfat dry milk, Live Probiotic & Yogurt Cultures (Bifidobacterium lactis BB-12®, L. acidophilus LA-5®, L. Casei,L. Rhamnosus LB3, S. thermophilus, L. bulgaricus) Fruit: water, ORG. Ag.. 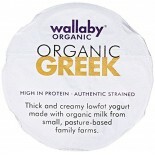 Attributes: Kosher, Natural or Organic IngredientsIngredients: Milk, nonfat dry milk, L. acidophilus, S. thermophilus, L. bulgaricus, L. casei, L. rhamnosus, and B. bifidum cultures.Nutritions: Calcium(40), Calories(150), Cholesterol(20), Dietaryfiber(0), Fromfat(30), Iron(0), Protein(11), Saturated.. 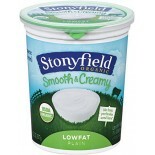 Attributes: Kosher, Natural or Organic IngredientsIngredients: Grade A pasteurized milk, nonfat dry milk, live cultures.Nutritions: Calcium(N/A), Calories(150), Cholesterol(N/A), Dietaryfiber(N/A), Fromfat(N/A), Iron(N/A), Protein(11), Saturatedfat(0), Servingscontainer(N/A), Servingsize(1 cup), Sod.. 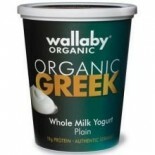 Attributes: Gluten Free, Kosher, Natural or Organic Ingredients, Non-GMO Project Verified , Vegan, Wheat Free, Yeast FreeIngredients: Organic Milk, Organic Skim Milk Powder, L. Acidophilus, S. Thermophilus, L. Bulgaricus, L. Casei, L. Rhamnosus, And B. Bifidum Cultures.Nutritions: Calcium(35), Calor.. 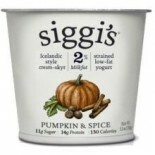 Attributes: Gluten Free, Natural or Organic IngredientsIngredients: Pasteurized Skim Milk, Cane Sugar, Pasteurized Cream, Pumpkin, Cinnamon, Vanilla Bean Extract, Lemon Juice, Nutmeg, Live Active Cultures (B. lactis, L. acidophilus, L. delbrueckii subsp. bulgaricus, L. delbrueckii subsp. lactis, S. .. Attributes: Gluten Free, Natural or Organic Ingredients, Wheat Free, Yeast FreeIngredients: Pasteurized Skim Milk, Cream, Coconut, Organic Agave Nectar, Live Active Cultures Nutritions: Calcium(15), Calories(190), Cholesterol(10), Dietaryfiber(1), Fromfat(20), Iron(0), Protein(13), Saturatedfat(0.. 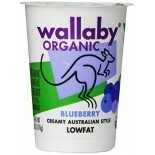 Attributes: Gluten Free, Natural or Organic IngredientsIngredients: Pasteurized Lowfat Milk, Cane Sugar, Blueberries, Fruit Pectin, Live Active Cultures Nutritions: Calcium(8), Calories(50), Cholesterol(5), Dietaryfiber(0), Fromfat(9), Iron(0), Protein(5), Saturatedfat(1), Servingscontainer(8), Ser.. 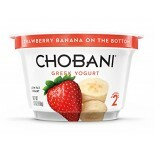 Attributes: Gluten Free, Natural or Organic IngredientsIngredients: Pasteurized Lowfat Milk, Cane Sugar, Strawberries, Live Active Cultures Nutritions: Calcium(8), Calories(60), Cholesterol(5), Dietaryfiber(0), Fromfat(9), Iron(0), Protein(5), Saturatedfat(1), Servingscontainer(8), Servingsize(1 tu.. 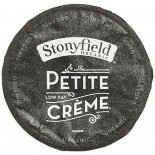 Attributes: Foodservice (Single Serve), Gluten Free, Kosher, Natural or Organic IngredientsIngredients: Cultured organic lowfat milk, organic evaporated cane juice, organic nonfat dry milk, natural vanilla, fruit pectin. 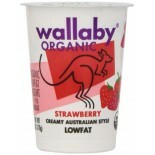 Made with L. acidophilus, L. bulgaricus, S. thermophilus & bifidus live yogurt .. 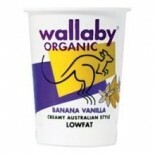 Attributes: Gluten Free, Kosher, Natural or Organic IngredientsIngredients: Cultured pasteurized organic lowfat milk, naturally milled organic sugar, organic nonfat dry milk, natural vanilla, pectin, turmeric (for color). Made with multiple organisms: l. acidophilus, l. bulgaricus, s. thermophilus &.. Attributes: Gluten Free, Kosher, Natural or Organic IngredientsIngredients: Cultured pasteurized organic lowfat milk, organic nonfat dry milk, fruit pectin, made with multiple organisms: L. acidophilus, L. bulgaricus, S. thermophilus & bifidus.Nutritions: Calcium(40), Calories(130), Cholesterol(15),.. Attributes: Gluten Free, Natural or Organic IngredientsIngredients: CULTURED PASTEURIZED ORGANIC REDUCED FAT MILK, ORGANIC SUGAR, ORGANIC CORN STARCH, ORGANIC CAROB BEAN GUM, GELLAN GUM,PECTIN, NATURAL FLAVOR, ANNATTO (FOR COLOR), VITAMIN D3 CULTURES: S. THERMOPHILUS, L. BULGARICUS, L. ACIDOPHILUS, .. 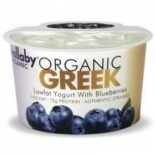 Attributes: Gluten Free, Kosher, Natural or Organic IngredientsIngredients: Cultured pasteurized organic reduced fat milk, naturally milled organic sugar, organic blueberry juice from concentrate, organic tapioca starch, organic carob bean gum, pectin, carrageenan, organic carrot juice concentrate (.. 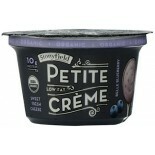 Attributes: Gluten Free, Kosher, Natural or Organic Ingredients, Wheat FreeIngredients: Strained yogurt: organic cultured pasteurized low fat milk. Blueberry fruit preparation: organic blueberries, organic cane sugar, natural flavor, organic locust bean gum, pectin, organic lemon juice concentrate.. 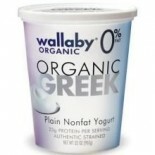 Attributes: Gluten Free, Kosher, Natural or Organic Ingredients, Wheat FreeIngredients: Strained yogurt: organic cultured pasteurized low fat milk. Cherry fruit preparation: organic cherries, organic cane sugar, natural flavor, organic locust bean gum, pectin, organic lemon juice concentrate, frui.. 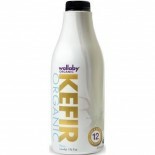 Attributes: Gluten Free, Kosher, Natural or Organic IngredientsIngredients: Organic Cultured Pasteurized Low-Fat Milk, Dark Chocolate (Organic Cane Sugar, Organic Chocolate Liquor, Organic Locust Bean Gum, Organic Vanilla Extract). .. 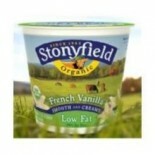 Attributes: Kosher, Natural or Organic Ingredients, VeganIngredients: Organic Cultured Pasteurized Lowfat Milk .. 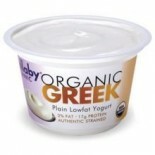 Attributes: Gluten Free, Kosher, Natural or Organic Ingredients, Wheat FreeIngredients: Strained yogurt: organic cultured pasteurized low fat milk. 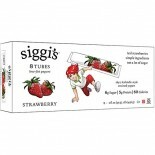 Strawberry fruit preparation: organic strawberries, organic cane sugar, organic lemon concentrate, organic locust bean gum, pectin, natural flavors, f.. 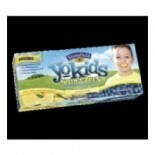 Attributes: Kosher, Natural or Organic Ingredients, VeganIngredients: Organic Cultured Pasteurized Nonfat Milk .. 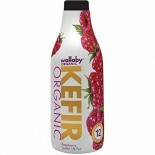 Attributes: Gluten Free, Kosher, Natural or Organic Ingredients, Wheat FreeIngredients: Organic Cultured Pasteurized Lowfat Milk, Organic Cane Sugar, Organic Blueberry Juice Concentrate, Natural Flavor, Pectin, Organic Locust Bean Gum, Fruit and Vegetable Juice for Color, LIVE AND ACTIVE KEFIR CULTU.. 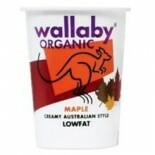 Attributes: Gluten Free, Kosher, Natural or Organic Ingredients, Wheat FreeIngredients: Organic Cultured Pasteurized Lowfat Milk, LIVE AND ACTIVE KEFIR CULTURES: Streptococcus thermophilus, Lactobacillus delbrueckii subsp. 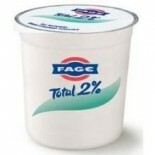 bulgaricus, Lactobacillus casei, Lactobacillus acidophilus, Bifidobacterium l.. 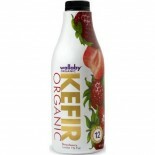 Attributes: Gluten Free, Kosher, Natural or Organic Ingredients, Wheat FreeIngredients: Organic Cultured Pasteurized Lowfat Milk, Organic Strawberries, Organic Cane Sugar, Natural Flavors, Organic Locust Bean Gum, Pectin, Fruit and Vegetable Juice for Color, LIVE AND ACTIVE KEFIR CULTURES: Streptoco.. 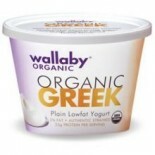 Attributes: Gluten Free, Kosher, Natural or Organic Ingredients, Wheat FreeIngredients: Organic Cultured Pasteurized Lowfat Milk, Organic Cane Sugar, Natural Flavor, Organic Locust Bean Gum, Pectin, Organic Extract of Vanilla, LIVE AND ACTIVE KEFIR CULTURES: Streptococcus thermophilus, Lactobacillus.. 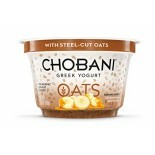 Attributes: Foodservice (Single Serve), Gluten Free, Kosher, Low Fat, Natural or Organic Ingredients, Wheat FreeIngredients: Organic cultured pasteurized lowfat milk, organic evaporated cane juice, organic bananas, locust bean gum, pecitn, organic vanilla, natural flavor.Nutritions: Calcium(25), Cal.. 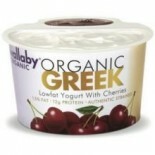 Attributes: Gluten Free, Kosher, Low Fat, Natural or Organic Ingredients, Wheat FreeIngredients: Organic cultured pasteurized lowfat milk, organic cherries, organic evaporated cane juice, natural flavor, locust bean gum, pectin.Nutritions: Calcium(25), Calories(150), Cholesterol(15), Dietaryfiber(0).. 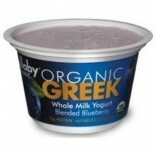 Attributes: Foodservice (Single Serve), Gluten Free, Kosher, Low Fat, Natural or Organic Ingredients, Wheat FreeIngredients: Organic Cultured pasteurized reduced fat milk, organic blueberries, organic evaporated cane juice, natural flavor, organic locust bean gum, pectin. Nutritions: Calcium(25), Ca.. 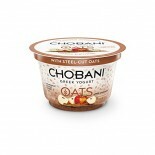 Attributes: Foodservice (Single Serve), Gluten Free, Kosher, Natural or Organic Ingredients, Wheat FreeIngredients: Organic Cultured Pasteurized Reduced Fat Milk, Organic Evaporated Cane Juice, Organic Lime Juice, Key Lime Puree, Natural Flavor, Pectin, Locust Bean Gum.Nutritions: Calcium(25), Calor.. 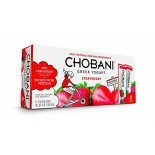 Attributes: Foodservice (Single Serve), Gluten Free, Kosher, Low Fat, Natural or Organic Ingredients, Wheat FreeIngredients: Organic cultured pasteurized reduced fat milk, organic evaporated cane juice, organic lemon juice concentrate, organic locust bean gum, pectin, natural flavor.Nutritions: Calc.. 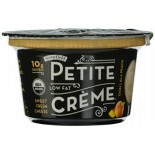 Attributes: Foodservice (Single Serve), Gluten Free, Kosher, Low Fat, Natural or Organic Ingredients, Wheat FreeIngredients: Organic cultured pasteurized reduced fat milk, organic evaporated cane juice, organic maple syrup, natural flavor, organic locust bean gu, pectin, organic lemon juice concentr.. 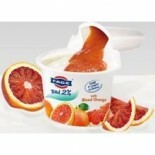 Attributes: Gluten Free, Kosher, Low Fat, Natural or Organic Ingredients, Wheat FreeIngredients: Organic cultured lowfat pasteurized milk, organic evaporated cane juice, organic oranges, passion fruit concentrate, organic orange juice concentrate, locust bean gum, pectin, natural flavor.Nutritions: .. 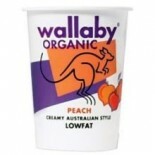 Attributes: Foodservice (Single Serve), Gluten Free, Kosher, Low Fat, Natural or Organic Ingredients, Wheat FreeIngredients: Organic cultured pateurized reduced fat milk, organi peaches, organic evaporated cane juice, natural flavor, organic locust bean gum, pectin. 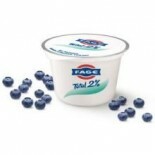 Nutritions: Calcium(25), Calories.. 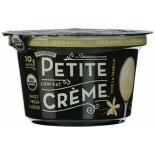 Attributes: Fat Free, Gluten Free, Kosher, Natural or Organic Ingredients, Wheat FreeIngredients: Organic Cultured Pasteurized Nonfat Milk, Pectin. Live Active Cultures: L.acidophilus, L.bulgaricus, S.thermophilus, bifidus Nutritions: Calcium(50), Calories(130), Cholesterol(15), Dietaryfiber(0),.. 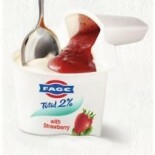 Attributes: Foodservice (Single Serve), Gluten Free, Kosher, Low Fat, Natural or Organic Ingredients, Wheat FreeIngredients: Organic cultured pasteurized rduced fat milk, organic strawberries, organic evaporated cane juice, organic locust bean gum, pectin, natural flavor, vegetable juice for color. .. 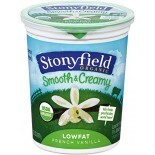 Attributes: Foodservice (Single Serve), Gluten Free, Kosher, Low Fat, Natural or Organic Ingredients, Wheat FreeIngredients: Organic Cultured Pasteurized Reduced Fat Milk, Organic Evaporated Cane Juice, Organic Extract of Vanilla, Locust Bean Gum, Pectin Nutritions: Calcium(25), Calories(150), Chol.. 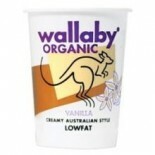 Attributes: Fat Free, Gluten Free, Kosher, Natural or Organic Ingredients, Wheat FreeIngredients: Organic Cultured Pasteurized Nonfat Milk, Organic Evaporated Cane Juice, Natural Flavor, Pectin, Locust Bean Gum, Organic Vanilla Beans. Live Active Cultures: L.acidophilus, L.bulgaricus, S.thermophilu.. 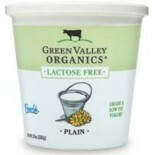 Attributes: Gluten Free, Kosher, Low Salt / Low Sodium / Reduced Sodium, Natural or Organic Ingredients, Wheat FreeIngredients: Organic pasteurized reduced fat milk, organic evaporated cane juice, natural flavor, organic locust bean gum, pectin, organic vanilla beans. LIVE ACTIVE CULTURES: L. ac.. 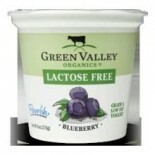 Attributes: Gluten Free, Kosher, Natural or Organic Ingredients, Wheat FreeIngredients: Organic Cultured Pasteurized Nonfat Milk, Organic Pasteurized Cream, Organic Blueberries, Organic Cane Sugar, Natural Flavor, Organic Locust Bean Gum, Pectin. .. 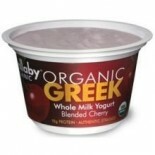 Attributes: Gluten Free, Kosher, Natural or Organic Ingredients, Wheat FreeIngredients: Organic Cultured Pasteurized Nonfat Milk, Organic Pasteurized Cream, Organic Cherries, Organic Cane Sugar, Natural Flavors, Organic Locust Bean Gum, Pectin, Fruit and Vegetable Juice for Color. .. 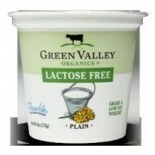 Attributes: Gluten Free, Kosher, Natural or Organic Ingredients, Wheat FreeIngredients: Organic Cultured Pasteurized Nonfat Milk, Organic Pasteurized Cream. .. 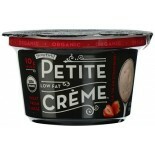 Attributes: Gluten Free, Kosher, Natural or Organic Ingredients, Wheat FreeIngredients: Organic Cultured Pasteurized Nonfat Milk, Organic Pasteurized Cream, Organic Raspberries, Organic Cane Sugar, Natural Flavor, Organic Locust Bean Gum, Pectin, Vegetable Juice for Color. .. 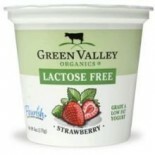 Attributes: Gluten Free, Kosher, Natural or Organic Ingredients, Wheat FreeIngredients: Organic Cultured Pasteurized Nonfat Milk, Organic Pasteurized Cream, Organic Strawberries, Organic Cane Sugar, Natural Flavors, Organic Locust Bean Gum, Pectin, Fruit and Vegetable Juice for Color. .. 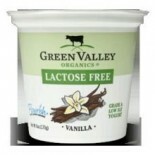 Attributes: Gluten Free, Kosher, Natural or Organic Ingredients, Wheat FreeIngredients: Organic Cultured Pasteurized Nonfat Milk, Organic Pasteurized Cream, Organic Cane Sugar, Natural Flavor, Organic Locust Bean Gum, Pectin, Organic Vanilla Beans. ..